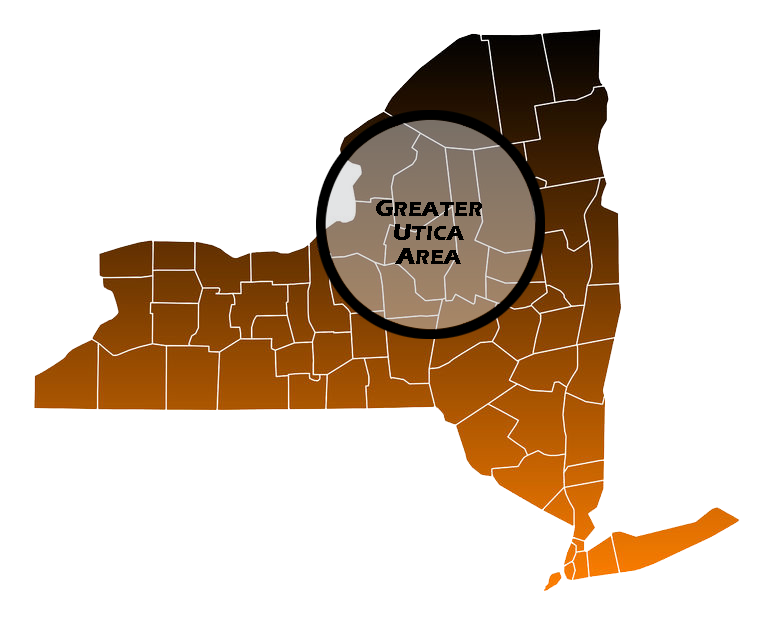 Utica is the tenth-most-populated city in New York State, with a population of over 62,000. You can find it about 45 miles east of Syracuse and 90 miles northwest of Albany. Utica is known for its beautiful views of the Adirondack Mountains, its attractive and varied architecture and ethnic neighborhoods formed by its robust immigrant populations. Utica features large segments of German, Irish, Italian and Polish immigrants as well as significant Jewish, African-American and Latin-American populations. Utica features plenty of transportation options. These include bus service thanks to CENTRO - the Central New York Regional Transportation Authority - and Greyhound. It also includes access to multiple airports such as Syracuse Hancock International and Albany International, Amtrak service from Union Station and a number of state and interstate highways, including Route 49, Route 5 and Interstate 90. If you have a car and make use of Utica highways, you can get a Utica auto insurance quote right now by contacting Capital Insurance Group. We have the network to find you great coverage at great premiums when it comes to Utica car insurance. There are many fine recreational opportunities in Utica. You can take your kids to the Children's Museum of Natural History, Science and Technology, see a play or concert at the Stanley Center for the Arts or check out the annual Boilermaker Road Race - a 15-km race that features runners from all over the world. Utica also has a gorgeous municipal golf course called Valley View, 677 acres of parks and recreation centers and the Vai Balas Ski Chalet for skiing, snowboarding and other winter activities. If your winter recreational fun extends to snowmobiles, make sure you are in an area where such vehicles are approved and make sure you have the proper Utica snowmobile insurance. Capital Gate Insurance Group can find you a great Utica snowmobile insurance quote as well as quotes for Utica boat, RV, motorcycle and ATV insurance. As evidenced by its large population, Utica is a suitable choice for those looking for a place to put down roots, in part because of its low-cost of living. Its diverse and welcoming population is another factor, and you can find more than 15 commonly spoken languages within the city's borders. No matter which Utica neighborhood you choose to settle in, you want to make sure to protect your home against damage, theft or liability. Capital Gate Insurance Group can help. We have competitive rates on Utica homeowners' insurance as well as great insurance options for renters. For even more peace of mind to start your new life in Utica, let us help you with a Utica life insurance quote, too. The traditional Utica economy prospered with industries like furniture, textiles and lumber. As the need for these industries declined, Utica struggled to find its footing, but may finally be rebounding thanks to the Griffiss Air Force Base technology center in Rome, a variety of construction projects, the healthcare industry, logistics, industrial services and the nearby Turning Stone Resort & Casino. If you're thinking about starting your own business in Utica, you want to be sure to protect yourself. Get in touch with us at Capital Gate for reliable Utica business insurance.